KELBA (Australia) , has introduced two new sizes and capacities of weigh beams to its range in addition to the 600mm, 1500kg capacity weigh beams. The Kelba heavy duty weigh beams come in two different lengths, 1.0 metre and 1.2 metre, with capacities from 2000kg, 4000kg and 6000kg per set of two weigh beams. The 1 metre and 1.2 metre weigh beams incorporate an industrial quality IP67 rated nickel plated shear beam load cell, with rubber mounts that interface between the load cell and upper load carry channel providing protection from shock loads. These units are built to offer the operator easy industrial weighing, when space is at a premium. When they are not in use they can simply be put to side saving on floor space. 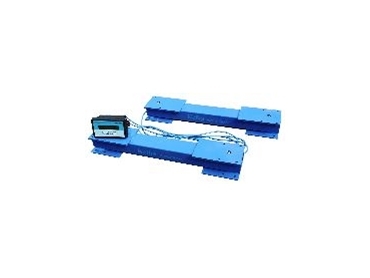 The weigh beams have a number of uses from weighing of bulk goods/pallets both inwards and outwards in factory situations, etc., to weighing produce in the field, live stock weighing under cattle crushes, etc. Depending on requirements, the KWB series weigh beams can be matched to the Kelba Merva 4002 indicator, when portable weighing is required where there is no ac mains power supply, or to any of the Kelba ac mains powered indicators depending on your needs.